Rhinoplasty can help create the nose you have always desired. Rhinoplasty is another name for a nose job. Dr. Kobienia discusses the procedure and who good candidates may be. He develops an individualized treatment plan for each of his patients. There are two primary techniques used to perform rhinoplasty: the closed technique and the open technique. 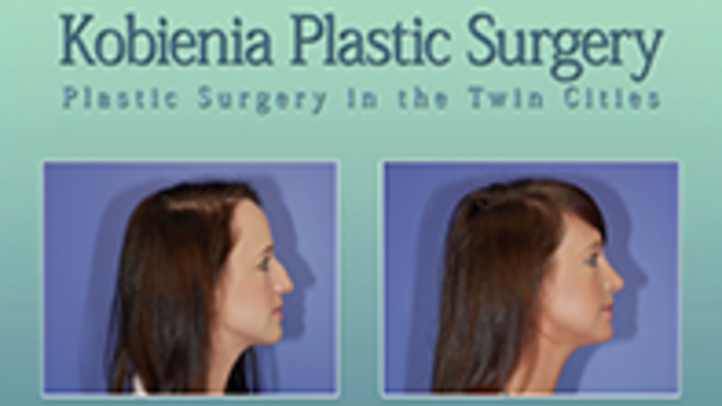 Although Dr. Kobienia strongly favors the open technique, during your personal consultation prior to surgery, you and Dr. Kobienia will discuss your options and goals and determine the best technique for your rhinoplasty. The closed procedure is performed using incisions hidden within the nose whereas the open procedure utilizes an incision made across the columella, the narrow strip separating the nostrils. Should more attention need to be paid to the nasal tip, chances are the open procedure will be used. In either case, the process is relatively similar other than the placement of the incisions. The patient is first anesthetized using general anesthesia. Once the patient is under sedation, Dr. Kobienia makes the predetermined incisions in order to access the underlying cartilage. Depending on the desired shape, Dr. Kobienia will remove, add, and/or reshape the cartilage. Once the reshaping has been completed and the nose has been sculpted into its desired form, the skin is re-draped and the incisions are closed using sutures. A splint, bandages, and possibly some soft internal packing may be used to help protect the nose during recovery, which can be done at home. Most patients are able to return to their normal routines within one to two weeks of undergoing rhinoplasty at the Minneapolis-area practice of Dr. Brian Kobienia. If your nose is a continued source of turmoil for you, it may be time to consider rhinoplasty. At the Minneapolis-area practice of Dr. Brian Kobienia, we have helped many patients in the Twin Cities create the noses they desire. Please contact us today to schedule a personal consultation to determine whether you are indeed a candidate for rhinoplasty.